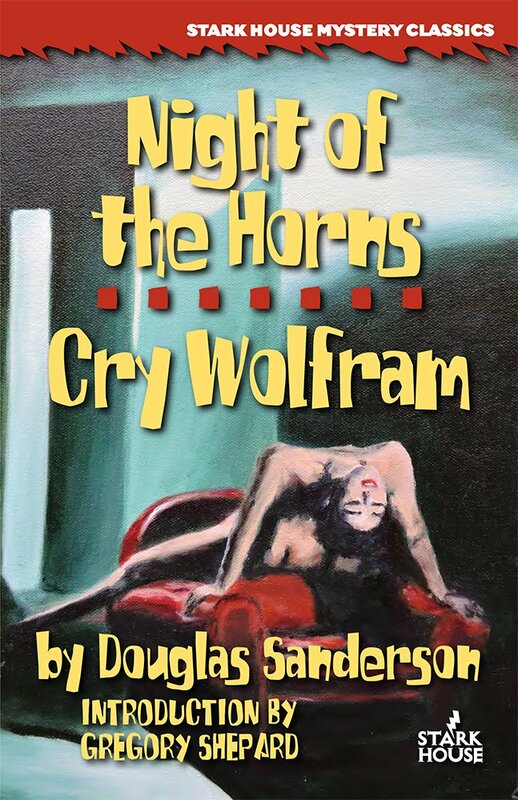 Douglas Sanderson is said to have been inspired by Mickey Spillane, but his 1959 novel Cry Wolfram reminds me more of Peter Rabe or Patricia Highsmith. Cry Wolfram also reminds me a bit of Charles Williams. Like Williams and Rabe at their best, Sanderson could write gracefully and artfully enough to satisfy the demands of a “literary” novel without, however, sacrificing suspense and tough-guy credibility. (Highsmith, of course, was so good as not to need mentioning in this respect.) In only one paragraph — one sentence, really — does Cry Wolfram come even close to literary preciousness. Disregard those eight words, if you like, and enjoy the rest of the book. A+ for the cover art! And as a follow-up to my cover art grade, I invite you to visit my new blog (and perhaps get involved by answering the inaugural question).